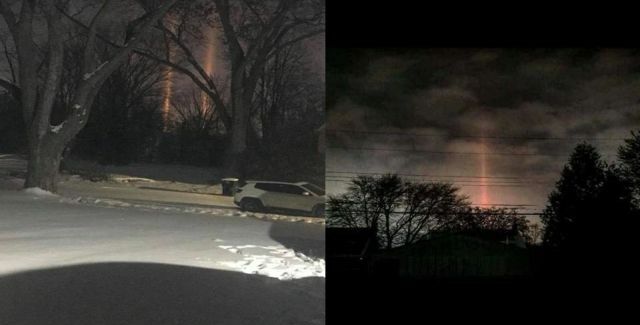 What are these rays of energy beamed down lightning the ground in Michigan? At exactly the same time a meteor flashed through the sky in Michigan, the United States Geological Survey reported a 2.0 magnitude earthquake at 8:09 p.m. January 16, 2018. The mean stream media will have you to believe it was a meteor, but images taken at the moment of the “meteor” event showing something else what seems to be a precise ray of energy beamed down lighting the ground on fire and so far I know a meteor cannot fell at a perfect 90 degrees angle says investigator Jeffery Pritchett. Not only it seems like two separate incidents have happened on the same day, the meteor did not caused the 2.0 magnitude earthquake, said William Yeck, a research geophysicist at the US Geological Survey's National Earthquake Information Center in Golden, Colorado. A meteor that explodes in the sky can be explained, (if it was a meteor) but a 2.0 magnitude earthquake and rays of energy beams is something that seems impossible to happen at the same time. 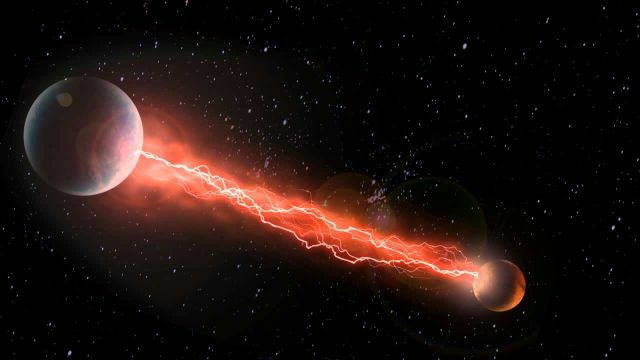 There’s a lot of discussion going on what might have been the rays of energy beams in particular. Was it just the meteor, an energy weapon or it has something to do with an upcoming space war? Or could it be, according to a mind-bending new Aerospace Defence Forces (ADF) report that circulated in the Kremlin two days ago and says that no known modern scientific explanation can be found as to why one of the oldest discovered comets in our solar system, named 41P/Tuttle-Giacobini-Kresák, has mysteriously slowed down to a near stop and began “firing” at Earth with its first “electrical discharge strike”(commonly known as the “Electric Universe Theory”) occurring on 7 January over vast regions of Eastern Russia turning the night sky electric blue and shaking the ground, its then striking Texas, on 10 January, turning the night sky to daylight and shaking the ground and, on 16 January, striking large regions of the United States—most particularly in Michigan. Thank you, Ufosightingshotspot.blogspot for this report whereby 2 phenomena occur simultaneously and may or may not be related. There are also reports and Youtube videos on mysterious rays of light emanating upwards from the Pyramids in 2015. Thank you too, TransgenderedOnAssignment, for your comment. Prospecting for minerals would tie in with the Anunnaki quest for gold on our planet and also with the findings of the eminent scientist Norman B Bergrun as shown with photographic proof in his book "Ringmakers of Saturn" where the rings seem to be "maintained" by UFOs and, thus, appear to be artificial to some extent. Greetings and best wishes from Marian in UK.